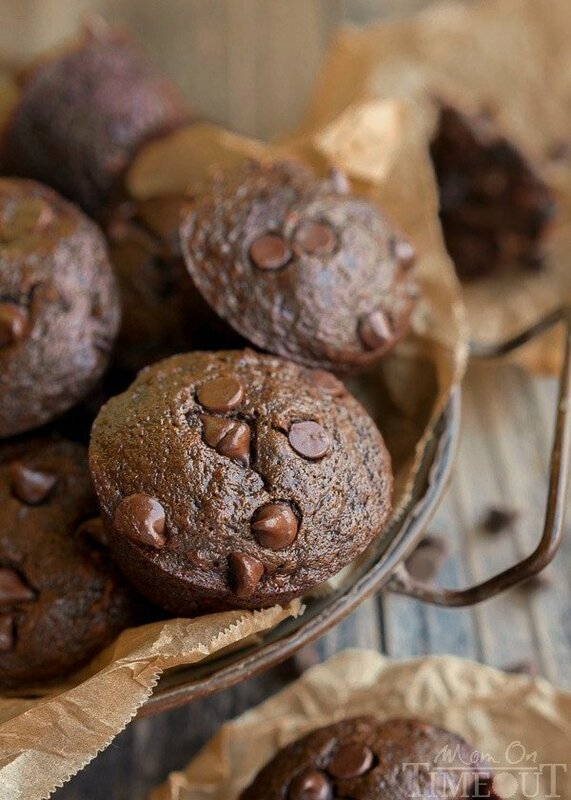 These Double Chocolate Banana Applesauce Muffins are perfect for those days when you wake up craving chocolate. Easy, delicious and made without oil, butter, or eggs. Raise your hand if you agree that chocolate is totally okay for breakfast? Good! We can be friends then. Today I’m sharing chocolate…for breakfast. And you’re totally going to love me for this. 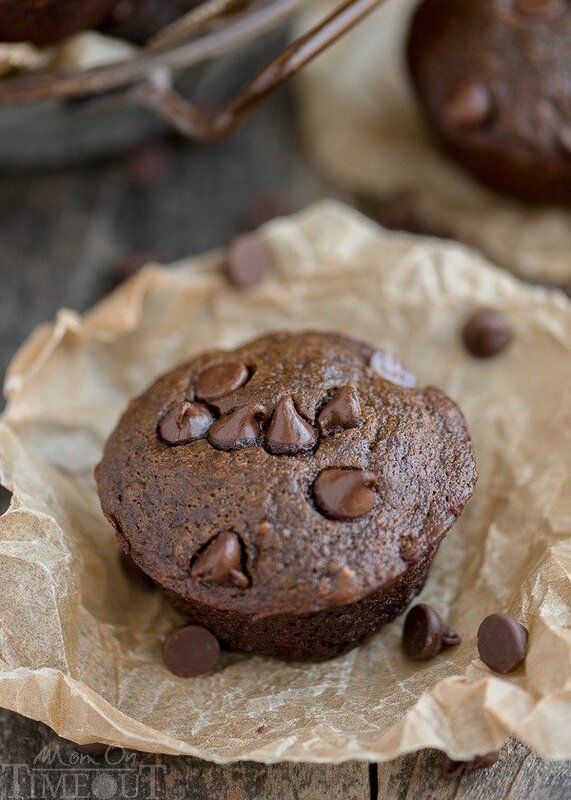 I’m not going wild with the chocolate, well maybe a little…BUT, these double chocolate muffins are made with bananas and applesauce. No butter, no oil, not even an egg. I kind of love them. You’ll notice that only eleven of the dozen muffin made it to the cooling rack. My taste buds could not resist the allure of those chocolate chips tucked into the top, all melty and perfect. I have to say, that little muffin went down way too easy. After having so many readers write in wondering if the Chocolate Banana Applesauce Cake could be made as muffins I knew that I needed to give it a try myself. Good call you guys! 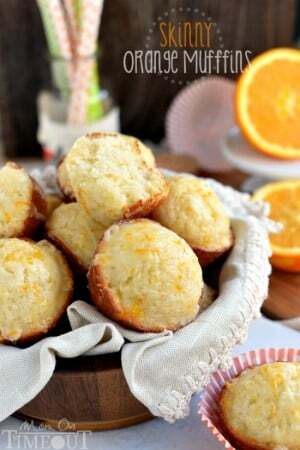 These muffins are just PERFECT for a sweet breakfast treat and lovely for brunch. 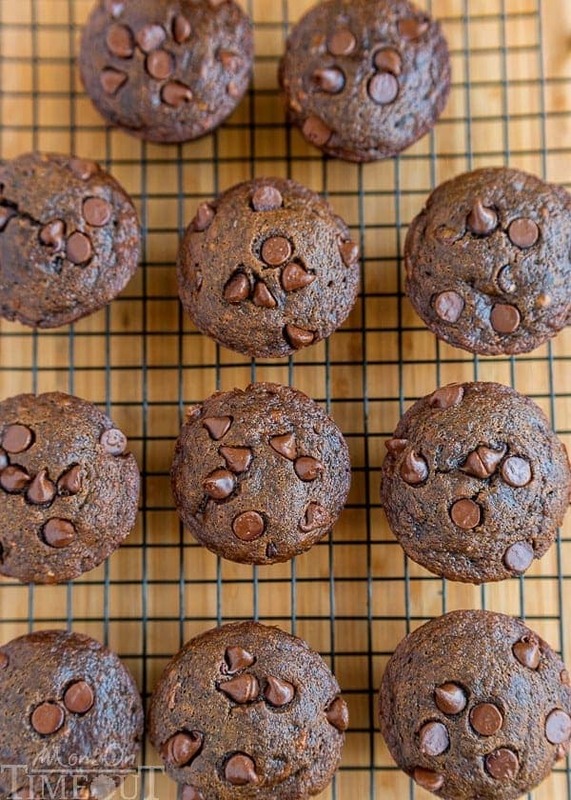 Not overly sweet but totally packed with rich chocolate flavor, these muffins beg to be devoured with a cold glass of milk on standby. Light and airy and yet somehow totally decadent. I guess chocolate for breakfast can be nothing if not decadent. I vow to treat myself to this kind of breakfast more often. Chocolates makes me happy and the earlier in the day I can have it, the better. This recipe makes twelve muffins and they keep amazingly well. I had a few tucked away for a treat and three days later they were still perfectly moist (thanks to those bananas and applesauce) and utterly delicious! 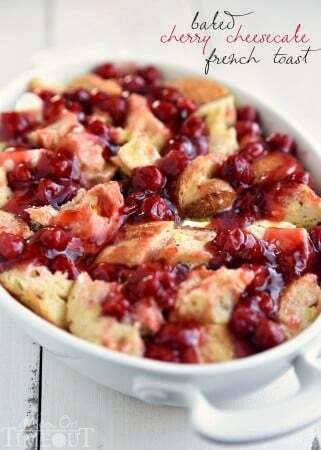 Line a muffin tin or spray lightly with cooking spray. Set aside. Mash bananas in a medium size bowl. Stir in the sugars, applesauce, water, and vinegar until thoroughly combined. Combine the flour, cocoa, baking soda and salt in a small bowl. Add the dry ingredients to the wet ingredients, stirring just until combined. Divide batter between the 12 cups evenly. They will be pretty full but don't worry about that. Sprinkle the remaining chocolate chips on top of the muffins. Bake for 22-27 minutes or until toothpick inserted into a muffin comes out clean. Let cool in tin slightly before removing. You have just won my teen son’s heart. He love, love, and did I say love chocolate-chocolate chip muffins. Thank you! Lol! So glad he enjoyed the muffins Ivory! Hope you have a lovely week! Love these muffins. I actually leave out the sugar and put 1/4 cup maple syrup. It’s super tasty! Question, why do you add the vinegar? Can’t stop eating these. 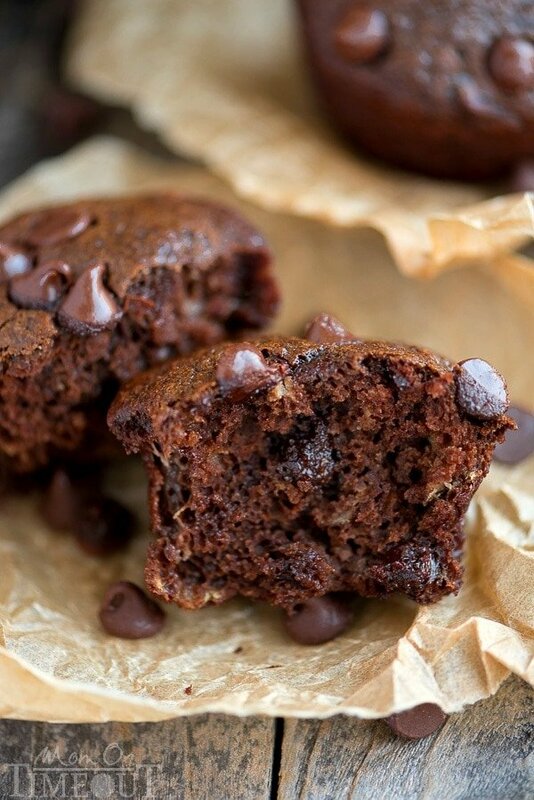 These are going to be my go to chocolate muffin recipe whenever I have bananas around! Thanks Trish! Delicious! I also love that it doesn’t use up my precious butter and eggs! The only tweak I make is I add about a teaspoon of vanilla. 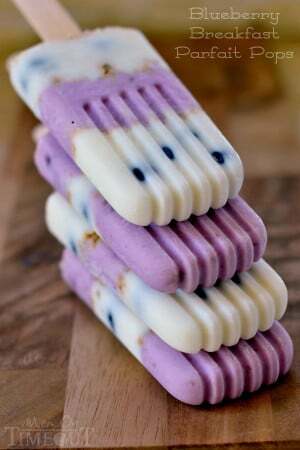 But I don’t know if that’s like honey and would make these technically not vegan. My three-year-old son and I made these muffins today. Easy to make and healthy too. Thank you. So glad you gave them a try Dee! What is the vinegar needed for? Can it be substituted or left out?